Stephanie Holzer has been promoted from department coordinator to Team WEA’s Regional Promotion Manager/Southwest. 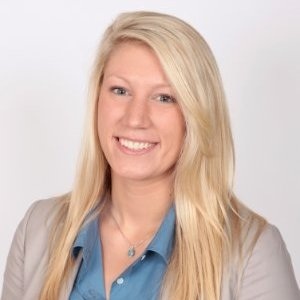 Holzer graduated with a master’s degree in Organizational Leadership from Vanderbilt University. She begins her new role in January 2015, and will relocate to Texas in mid-2015. Holzer can be reached at stephanie.holzer@wmg.com or at 615-214-1477. A replacement for the coordinator role will be announced soon. 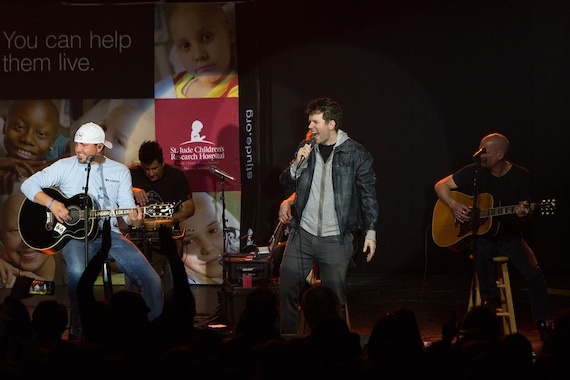 On Tuesday, Nov. 18, Bobby Bones and The Raging Idiots played a special charity concert to benefit St. Jude Children’s Research Hospital. Entertainer Jason Aldean crashed the show held at Marathon Music Works in Nashville, helping raise more than $60,000 for the hospital. In addition, Country music singer/songwriter/guitarist Lindsay Ell performed with The Raging Idiots, and St. Jude patient Caleb served as guest announcer for the evening. Bobby Bones and Jason Aldean on stage. Rocker Jim Peterik (Ides of March/Survivor) celebrated the release of his new book Through the Eye of the Tiger at Leadership Music’s Learning Network Wednesday night (Nov. 19) at the First Amendment Center. The celebration was a join event with Copyright Society of the South. Peterik, who performed his self-penned classics, “Vehicle,” “The Search is Over” and “Eye of the Tiger,” was joined at one point by special guest, Kelly Keaggy, frontman of Night Ranger. Peterik will be signing copies of his book tonight (Friday, Nov. 21) at Nashville’s Two Old Hippies, beginning at 6 p.m.
Pictured (L-R): Leadership Music Executive Director, Debbie Linn, Peterik, LM President Diane Pearson, LM’s Judi Turner and Sherrill Blackman, who interviewed Peterik. ASCAP Amped will present a two-hour performance on Dec. 2 from 6 p.m.-8 p.m. at Nashville’s 3rd & Lindsley. The show will feature Chris Cavanaugh, Kalisa Ewing, and David Ray.